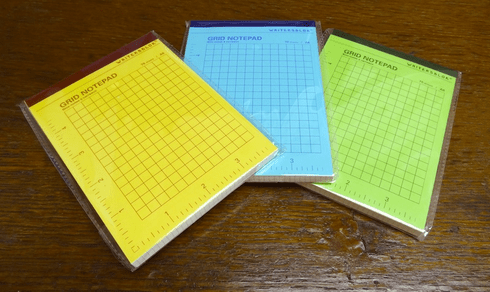 Grid Paper Notepad. Contains 70 sheets. Comes in 3 different cover colors. Price per pad. Measures 6" x 4.25"